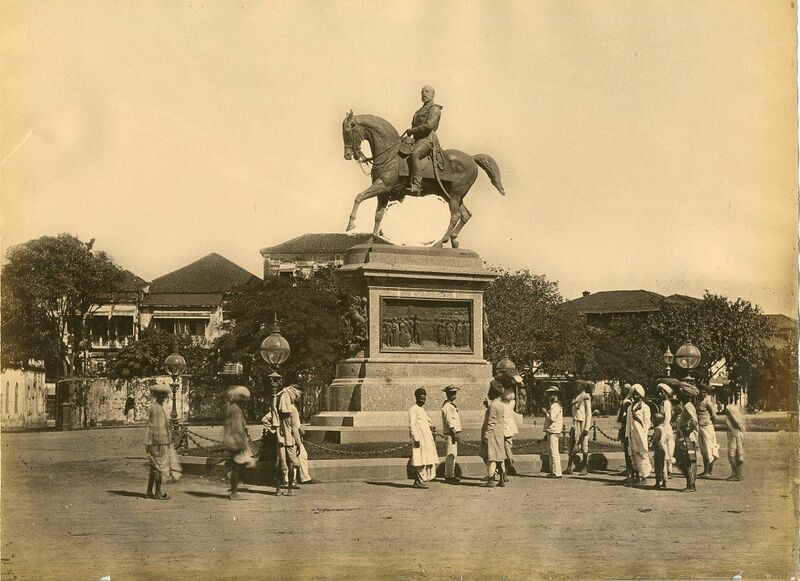 Historically, there was a black stone statue here of King Edward VII also known as the Prince of Wales during the colonial era. The statue depicted him mounted on a horse. 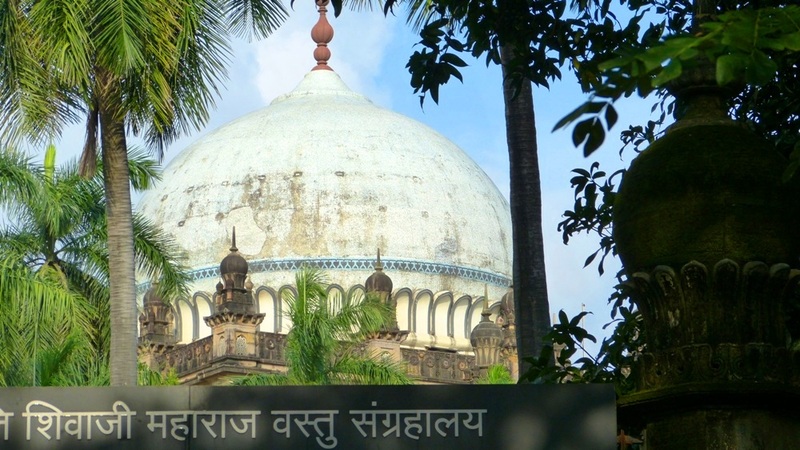 However, that statue was finally removed in the year 1965 and was placed at Jijamata Udyaan also known as Dr. Bhau Daji Lad Museum. However, the crescent shaped precinct is still named after the black horse statue that was once the price of this location. 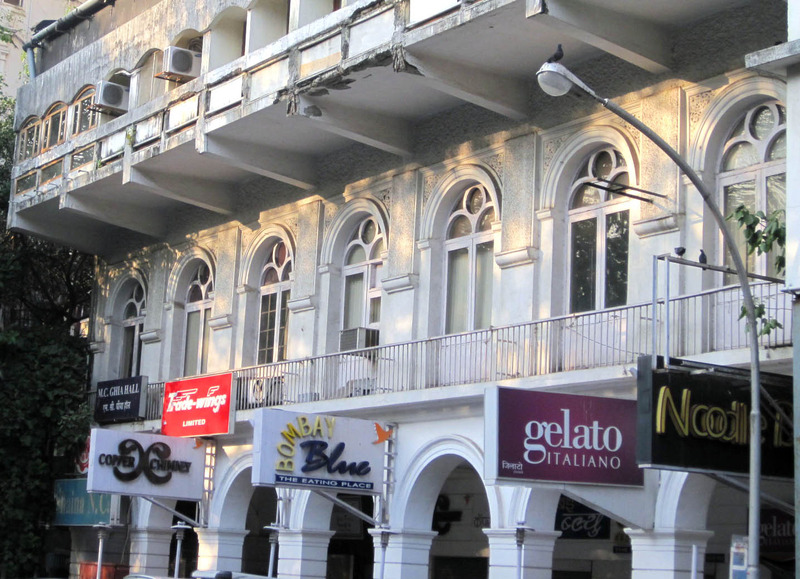 Kala Ghoda today is located between Regal Cinema to the south and Flora Fountain to the north side of it. Okay, now that you already know something about this place it’s time I should focus on why you should visit this place. 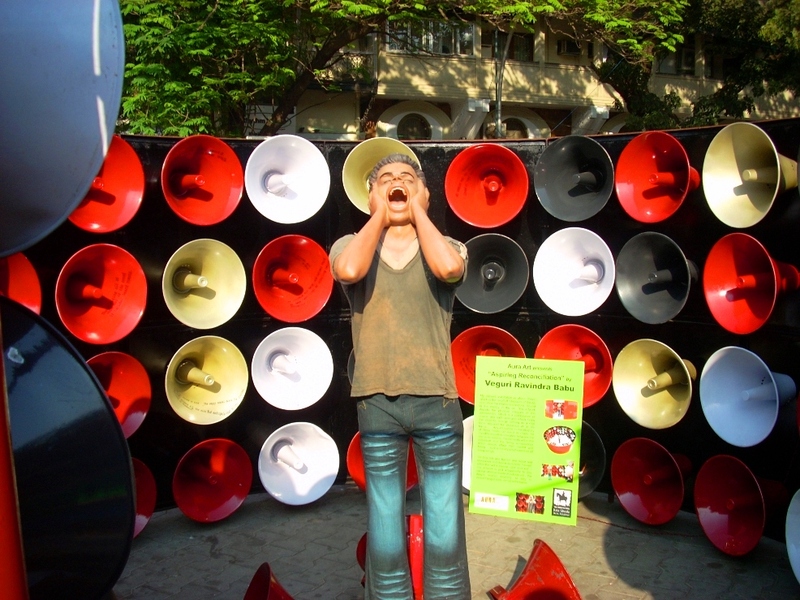 If you are passionate about arts and architecture, Kala Ghoda is “the place” to visit. 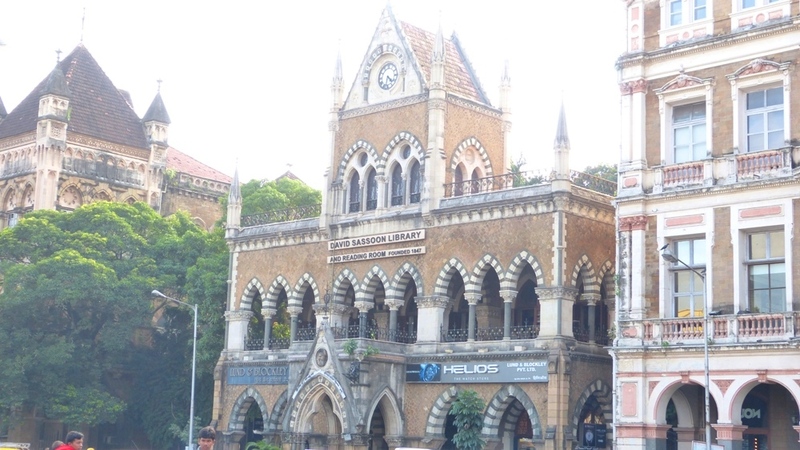 This small precinct has more landmark buildings that not only talk about the past of Mumbai, but also talks about the colonial architecture. 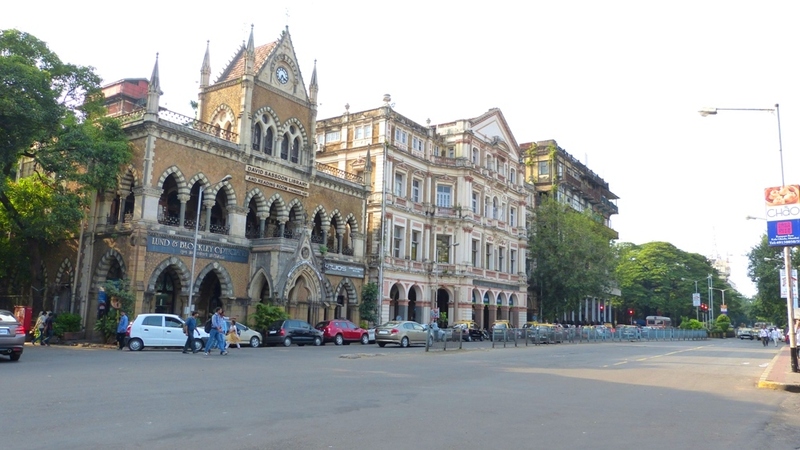 You can pick up any landmark building here like Prince of Wales Museum now known as Chhatrapati Shivaji Maharaj Vastu Sanghralaya, Elphinstone College, Army and Navy Building, David Sassoon Library, St. Andrew and Columba Church, Knesset Eliyahoo Synagogue and even the Mumbai University building. These buildings speak about architecture brilliance and craftsmanship that you can hardly find in new high rise towers in the city. 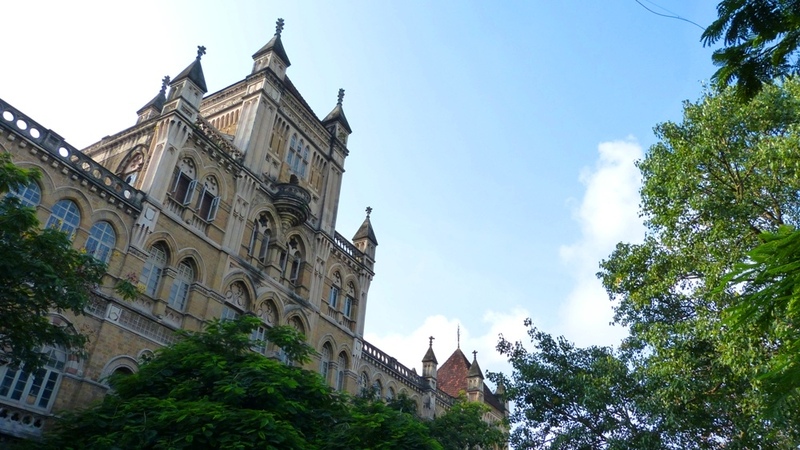 If you like to explore the arts in Mumbai walk into National Gallery of Modern Art (NGMA) or Jehangir Art Gallery which is right adjacent to it. 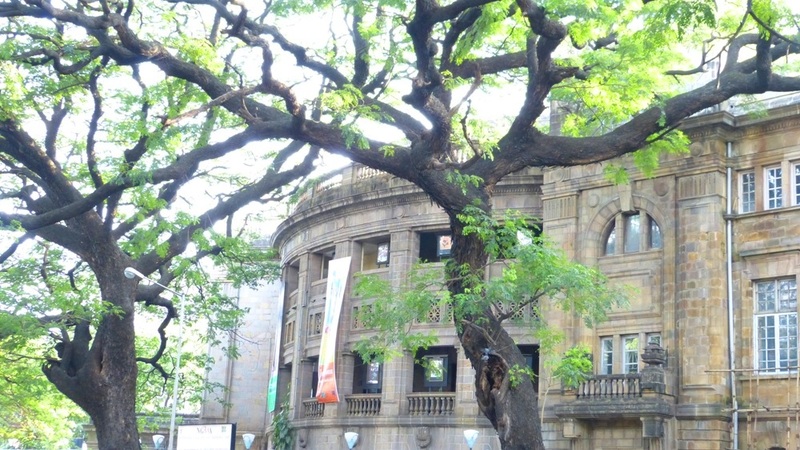 Take a peek into the history and culture of India at the Prince of Wales Museum which is right opposite NGMA building. 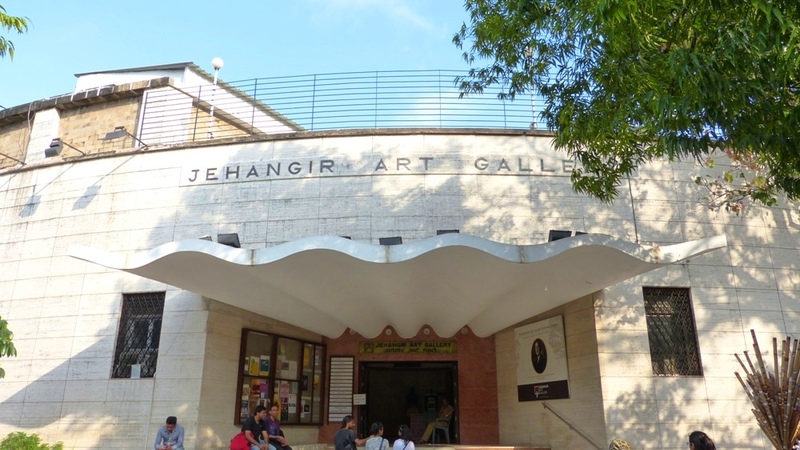 While you are walking the pavements of Prince of Wales Museum you can enjoy Kala Ghoda Pavement Gallery which is right outside Jehangir Art Gallery. Just a little note to all my international readers, if you are at Kala Ghoda you might be surrounded by many street kids begging for money. So either ignore them or keep walking or just say NO to them in a bit harsh voice. 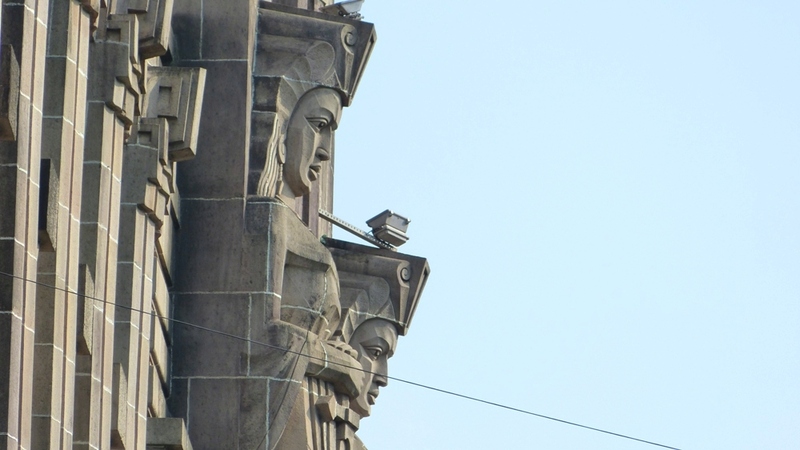 Oh, do carry your camera with you for some great city landscapes that you can find in South Mumbai. After exploring the arts and architecture of the area you might feel tired and hungry. 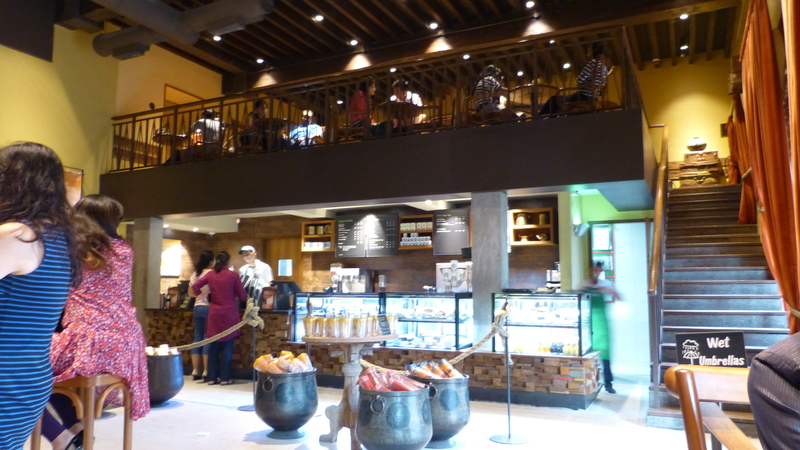 Kala Ghoda offers a wide range of food and beverage option to all the visitors. Let’s start with some expensive restaurants here like Khyber that serves delicious non-vegetarian North Indian food in Afghanistan-inspired interiors that you won’t find anywhere else. A few minutes’ walk from Khyber towards Rhythm House will bring you across Copper Chimney that again offers wide range of food options but they are really good at North Indian vegetarian and no-vegetarian cuisine. Bombay Blue just next to Copper Chimney offers cuisines like pasta, sizzlers, Chinese and Thai food. Ice cream lovers can chill out at the Gelato shop right next to Bombay Blue. You can also enjoy Chinese at Silk Route and international cuisine at The Irish House. If you are interested in just hanging out with friends you can also find India’s first Starbucks store right here just around Horniman Circle. I have some pictures for my readers here. If you are on a tight budget, I would recommend Vaibhav’s which is right opposite to Mumbai University building. They offer the best vegetarian only meals at unbelievable prices that won’t hurt your budget. Dwarka Restaurant at Dalal Street is also a good choice for those who want to go for budget friendly vegetarian restaurants. 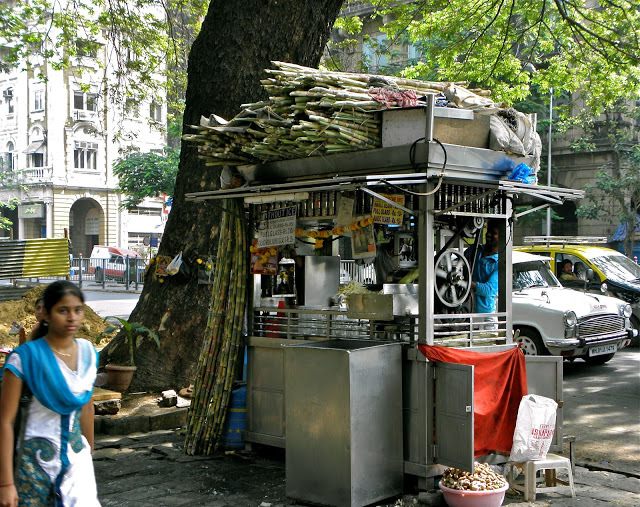 Oh, I forgot to mention, if you are at Kala Ghoda tired and thirsty find a sugarcane juice stall that’s right opposite the dilapidated Watson’s Hotel building and enjoy a jumbo glass of fresh sugarcane organic juice for around 25 Indian Rupees. I am attaching the picture of the stall especially for my readers. 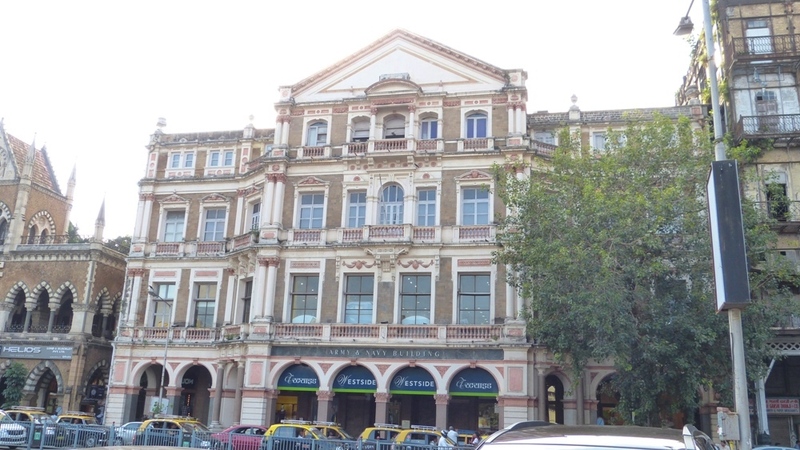 While Kala Ghoda is primarily an area that has arts related buildings combined with some buildings that houses business offices but it still offers a lot of shopping options. You can shop at the new Westside shopping store that is located in the Army and Navy Building. If you are passionate about music there is no other place like Rhythm House which is right opposite Westside shopping store and right next to Khyber Restaurant. You can also enjoy some shopping at FabIndia and Globus shopping store. You can also do lot of street shopping at Kala Ghoda if you want to save money. International readers please keep in mind please bargain when you are street shopping here. You can visit Kala Ghoda any time of the year; weekend is the right time to visit this place so won’t get the office crowd. 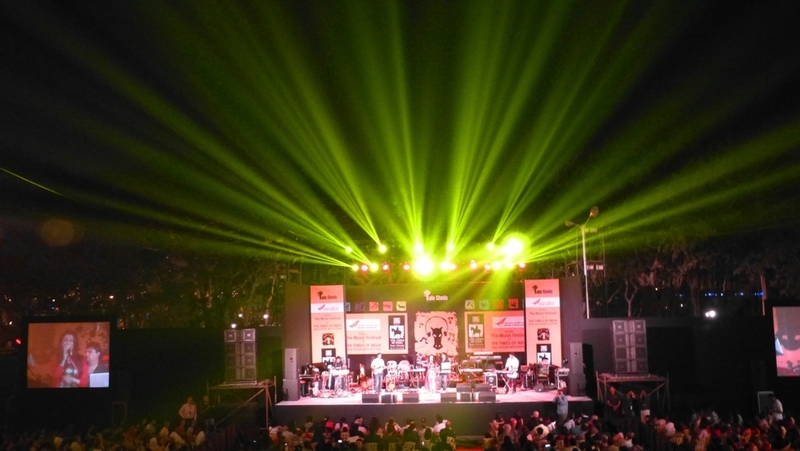 However, if you are here somewhere in February do visit the Kala Ghoda Arts Festival which is an open for all arts festival celebrating all forms of art, dance, music, cinema, literature, street festival, food,, heritage walks, visual arts, theatre and workshops. While the festival has been opposed by many residents as nuisance the festival continues to attract more than 150,000 people from all over the city. There are many international tourists that come here to enjoy and witness the festival. Well, I can go on and on about Kala Ghoda for there is so much to explore, but I guess I have to leave some things for my readers to come down to this precinct and discover it for themselves. 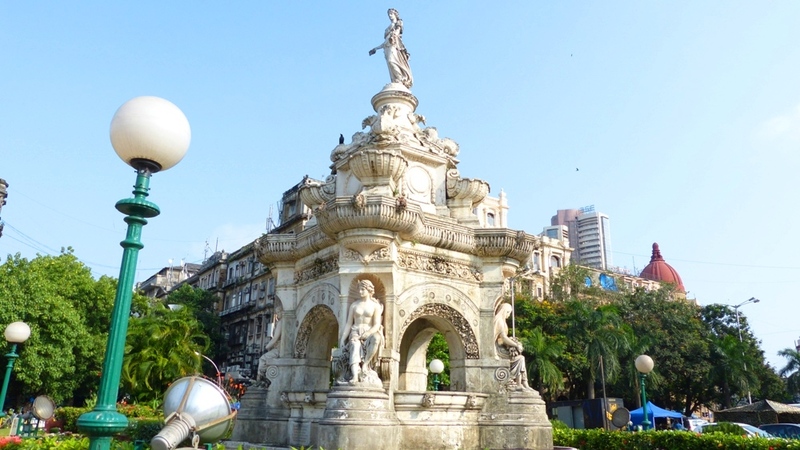 Nice blog about black horse statue and other monuments in Mumbai. You know, India should have you to do a travel magazine for the country. Your photos and words really urge one to visit! I am so amazed at the amount of cultural venues, museums and music, that are available. And I never realized how much British influence there truly was in India’s history. Thanks for yet another magnificent tour! I would like to share this on g+ if you don’t mind. Yes, you can share it anywhere you want. Thank you for such kind words, but I think I am not on that level to do a travel magazine for the country. 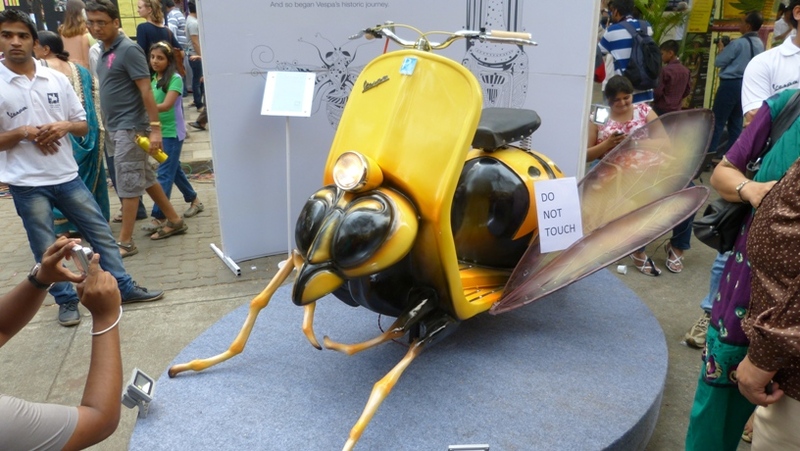 Of course, I love India and that is why my blog is on Indian places only. I think India has plenty of landscapes, places, cafes, restaurants, festivals, cultural events and so much that has never been exposed to the world. I am putting an effort to bring those places and small details to the world through my blog. I certainly give credit to all British people who contributed in building these places when they ruled India and that these heritage structure still talk about the great history that will always remain. I did share o google+. There are so many people there who are interested in what goes on all over the world. Thanks for sharing 🙂 I am currently going through your site, me and Sarah going through your Costa Rica pictures.